Today I’m offering this Vintage Rainy Day Kids Photo! 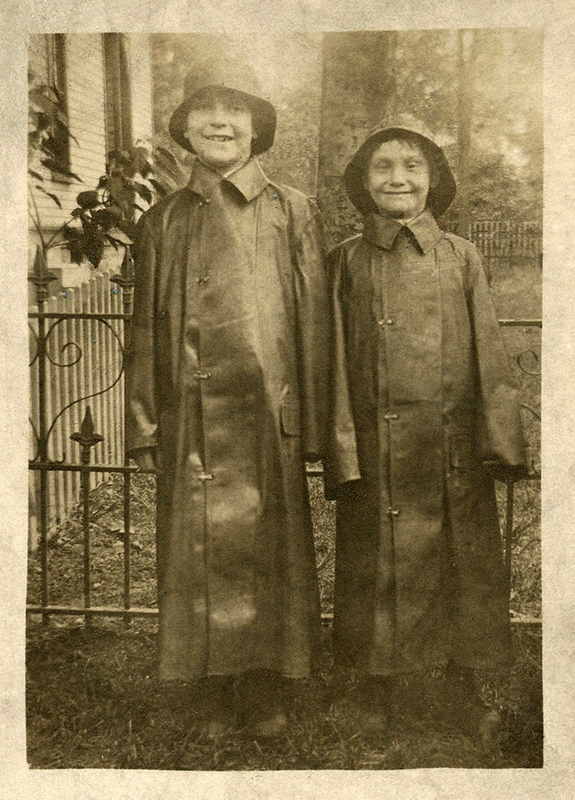 This is an Antique photo of two Cute Boys dressed in long Rain Coats, Rain Hats and Rain Boots. It looks like they are ready to enjoy some rainy day fun! This would be wonderful to use in Collage or Mixed Media projects! You might also some more old Photo Images, from HERE. Cute Silhouette Kids in Boat Image! 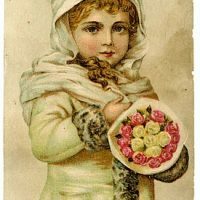 Vintage Christmas Clip Art – Stunning Angelic Snow Girl Vintage Adorable Child in a Furry Hat and Bow Image! Thanks so much. This is so cute! That is too cute, thanks Karen! Look at the lovely wrought iron fence the boys are standing in front of!